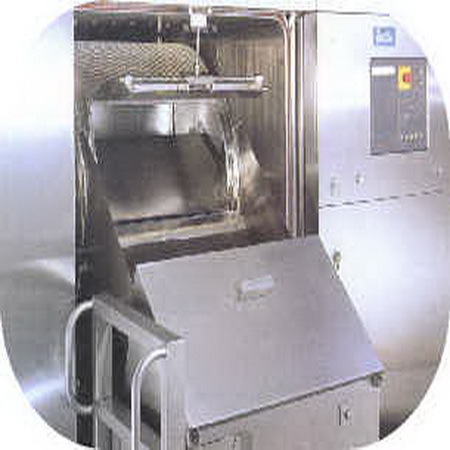 The Washer/Sterilizer/Autoclave is dedicated units to wash, rinse, sterilize and dry stoppers. Ready for deposit into the sterile suite. Only sterilized stoppers are presented to the sterile suite. These units are all pass through designs and can be used as a stand alone autoclave as well. The preparation of vial stoppers for filling lines puts an exceptional challenge on cleaning as well as sterilisation and in the case of lyo stoppers the dryness demands can also be extreme. KEW integrated stopper-processors achieve the most stringent demands in all these with a full GMP wash process (often followed by siliconisation), then a full porous load sterilisation cycle, and particularly for lyo stoppers very extensive drying and cooling techniques. The whole process is automatically managed and conducted in a special drum which gently tumbles the load to make sure that the whole process is uniformly delivered to every stopper in the load (typical loads are 30,000 to 120,000 stoppers, depending on stopper size). Washing/Detergent Dosing After the water supply has reached the set level, detergent is added by the dosing unit. 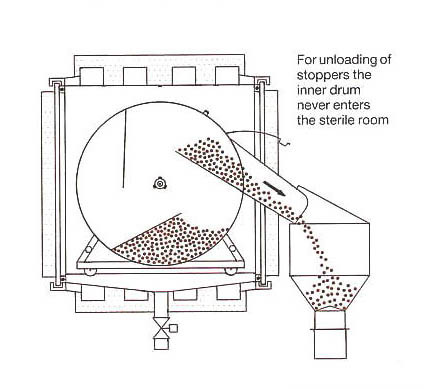 When the inner drum starts rotating, simultaneously the heating process starts. SIP – System On request, at SIP step can be integrated. This insures a precise vaporization of the inner wall of the pressure vessel by rotating steam nozzles, thus having a high cleaning efficiency. Rinsing/Siliconization After refilling the machine with hot water, the articles are rinsed. If necessary, the articles can now be siliconized. This is done by adding the required quantity of silicone by means of the dosing unit. Either silicone oil or silicone emulsion can be used. Loading Loading is effected from the non sterile side under sterile air stream coming out of the machine. No particles from the room can thus enter the machine. CIP System When the washing water is drained off, the CIP Machine-self cleaning starts. The outer cylinder and inner drum are cleaned by rotating high pressure jets in order to avoid re deposits of flushed particles and silicone. 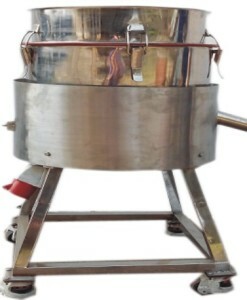 Subaqual-Sterilization On request, the machine can be designed in such a way that a subaqual pre-sterilization of the stoppers in a water bath under pressure up to a temperature of about 125 degrees Celsius can be carried through. Subaqual pre-sterilization serves for extraction of foreign components and for releasing substances which can hardly be removed or chemical contamination out of the rubber stoppers. Thus, direct positive influence on leaching of the inner substances of stoppers and thus on drug stability. 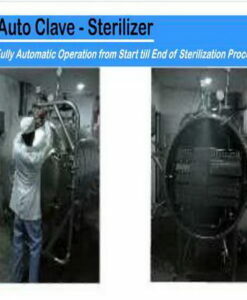 Sterilization Steam is supplied through nozzles of the center shaft (patented). By the steam stream coming from the center, a fast removal of the oxygen rich atmosphere from the pressure vessel is achieved. On request, even pre-vacuum for sterilization is possible. 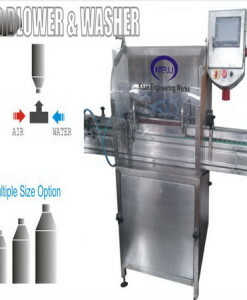 The steam continuously and uniformly supplied via the nozzles guarantees an optimum temperature distribution and the machine quickly reaches the required sterilizing temperature of 121 degrees Celsius. 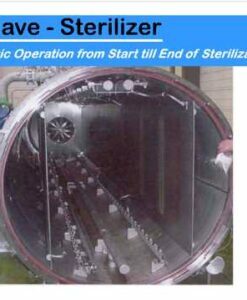 During sterilization, the stoppers are smoothly shifted from time to time. Pressure and temperatures are permanently recorded according to FDA. Drying The air required for the drying step is pressed into the machine via a pre-filter, blower and .02 micron sterile filter (HEPA filtered air is optional). 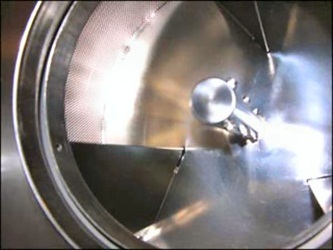 Drying is done by occasional intermittent shifting of the stoppers and simultaneously passing through sterile air, thus avoiding any friction as with other systems. For products requiring low residual moisture, hot air register and vacuum are available as a support. With a vacuum unit, automatic leak test can be carried out. At the end of drying, cooling down of stoppers to unloading temperature is effected, therefore no after condensation of stoppers in the filling containers. Instead of inline sterilizable filter cartridges with 0.2 micron Hepa filters can be used.